Many times while completing the exercises in this program "The Spot" is mentioned. "The Spot", also referred to as "The Bumpy Spot", or the "Alveolar Ridge", is located directly behind your top front teeth. While completing the exercises that direct you toward "The Spot", place the tip of your tongue on the bumpy spot behind your top front teeth. 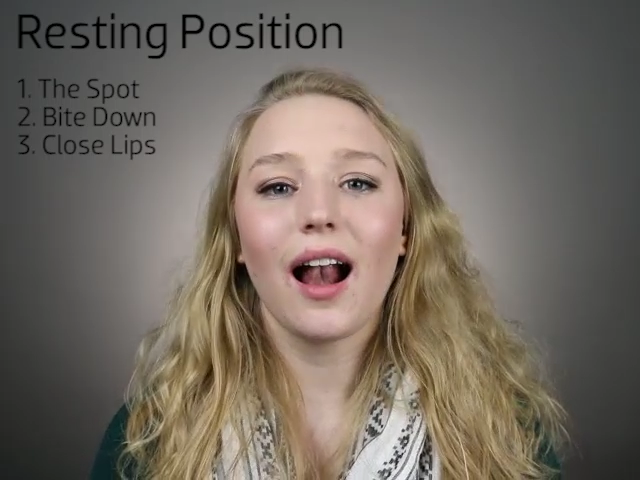 While placing the tip of your tongue on "The Spot", make sure that your tongue is not touching or pushing against your teeth in any way.